email marketing drives more conversions than any other marketing channel, including social media and search. This means that collecting emails should be the main focus of your landing pages or at least a prominent part of your sales funnel. As I am sure many of you have noticed, providing valuable content is a great way to build authority and collect emails from your visitors. 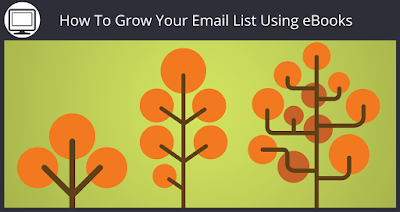 Today, I would like to share some tips on how you can use eBooks to grow your email list. So let’s take your lead generation to the next level. Before writing your eBook, you will need to choose a relevant and exciting topic. Be sure to engage with your visitors and help them guide you in the right direction. Solving a problem your customers face is the basis of what will make your company succeed and this applies to your email marketing campaigns as well. Listening to your customers feedback and understanding the information they look for, will be crucial in determining what type of eBook you write. Sometimes, the best way to find out what somebody wants, is asking them. 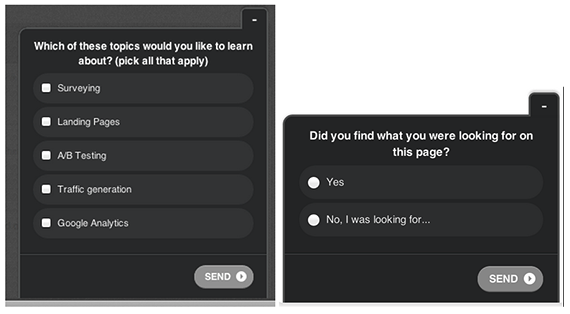 Running surveys, through a tool like Qualaroo, is a great way to engage with your visitors while they are consuming your content. Start off by asking your visitors open ended questions like “What brings you to our site today?” or “Do you have any questions about X or Y?”. This will allow you to create follow-up surveys with more specific questions and find out what resonates with your readers. Analyze your Google Analytics data to see which of your blog posts have gained the most traction. Often times you can elaborate on existing content and create a more in-depth guide on the topic. This will allow you to align your eBook topic with reader interest and add the offer to high traffic landing pages on your site. Should you not have the number of visitors and traffic data required to gather feedback, you can research what has worked for other companies. Search through high-traffic blogs in your niche to see which topics tend to get the most shares on social media. Visually is also a good place to find out which infographic topics are most popular for specific industries. Providing free and valuable content that your readers need will provide them with an incentive that makes joining your email list a no-brainer. A free offer will remove your readers hesitation and significantly increase your email opt-in rate. The concept of creating content to engage customers is nothing new, but we often see poorly written and rehashed articles filling up blog pages without providing any real value to readers. Creating another generic eBook will only take-away from your brand’s authority, which is why I stress the importance of providing legitimate value to your customers. Featuring a high-quality ebook that is filled with informative resources will attract more visitors to your site and build trust from your readers. They will appreciate the free information and be more likely to convert to paying customers when they receive promotional emails. The principle of supply and demand dictates that when supply is limited, demand will go up. Creating scarcity for a product will have a psychological influence on your visitors that can be the deciding factor on whether or not they convert. A great way to create scarcity for a free product is by limiting the offer to 24 hours. This same eBook can always be used again in other promotions to build your email list and bring existing customers back to your site. Now that your eBook is ready, you will need to promote it as much as you can. 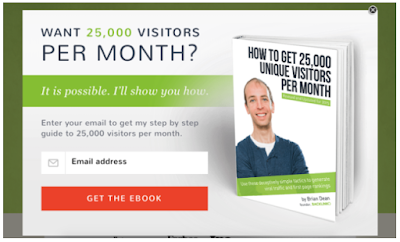 This eBook will be your strongest asset to collecting emails so be sure your visitors are aware of the offer. Use one of SendLane’s pre-made landing page templates to feature the new eBook. You can also add layover pop-ups, from a tool like HelloBar, to feature the offer. These overlay’s should appear while the visitor is engaging on your blog or pop-up when they intend to exit the site. Be sure to make the opt-in form prominent and easy to understand. Create awareness and buzz about your eBook by spreading the word through social media channels. Engage with your followers and create some conversations on Pinterest, Facebook, Twitter and LinkedIn. Start the promotion before the eBook is released and set a launch date at least two weeks early. This will get your customers excited and build some anticipation. You can even start collecting early email opt-ins for readers that want to ensure they will receive a free copy. 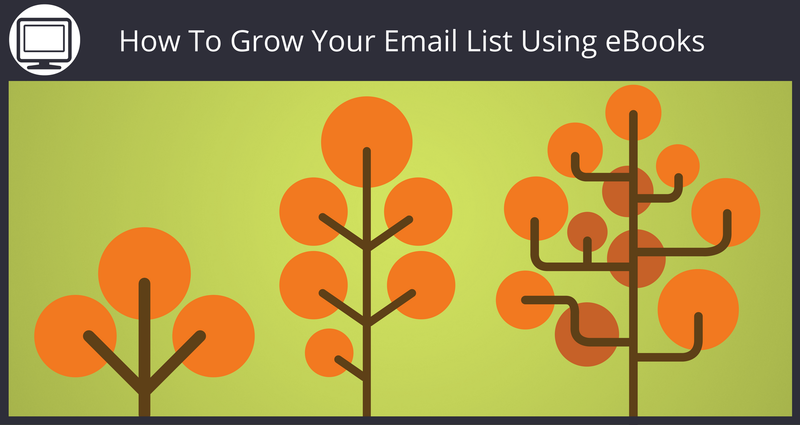 Now that you have some actionable advice on how to build your email list using eBooks. So be sure you get the most out of your subscribers. Keep in mind that your email campaign will need to be aligned with the needs and actions of your subscribers. For best results, create beautiful emails with concise offers. Always tweak your email marketing campaign to increase open-rates and engagement. 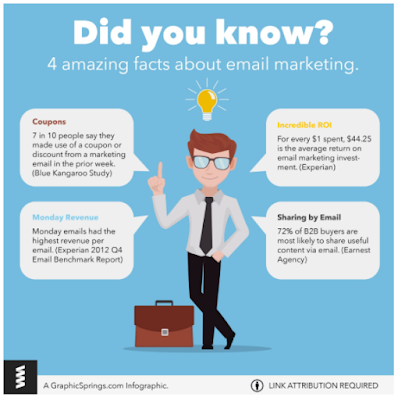 Before you get started, check out these inspiring facts about email marketing.